Amidst the sea of new videos from Justin Bieber and new songs from One Direction, we can't forget about all of the other artists releasing cool material at the moment. On Friday, Ed Sheeran and Rudimental released the video for "Lay It All On Me," their heartfelt single that comes as part of their powerful collaboration. Not only is the song incredibly catchy, but the video has some hidden inspirational messages in it that everyone needs to see. "Lay It All On Me" is off of Rudimental's second album, We the Generation, that was released on October 2nd and has obtained chart success both in the UK and in the US. While the song solicits the message of having someone to trust with your problems and be a shoulder to cry on, the video — although very trippy — makes these messages, and others, even more clear by giving viewers a look into Rudimental's minds. The video features all sorts of hazy, mysterious elements, that can distract from the overall meaning of the video if one isn't paying close enough attention. "Lay It All On Me" shows the fourpiece Piers Agget, Amir Amor, Kesi Dryden and DJ Locksmith with younger versions of themselves, soldiers, dancers, and Sheeran himself singing in an all-white room while chaos occurs around them, unleashing a bunch of little stories with their own big message. If that video doesn't make you feel some type of way, then I am not sure what will. The powerful messages brought to life by Rudimental's vision and Sheeran's voice are empowering and promising of hope for a better tomorrow. Some of the biggest motifs in the video that catch your attention are flashed across the screen, like "love," "freedom," "peace," "brotherhood," and "struggle." They're important messages that undoubtedly will show anyone who is going through rough times or is fighting through them now that they should not feel alone. Just like how the characters in the video found refuge at the end, hope is on the way. Even though times might be dark, there is always a light at the end of the tunnel, and someone who will be there for you when you need them the most. 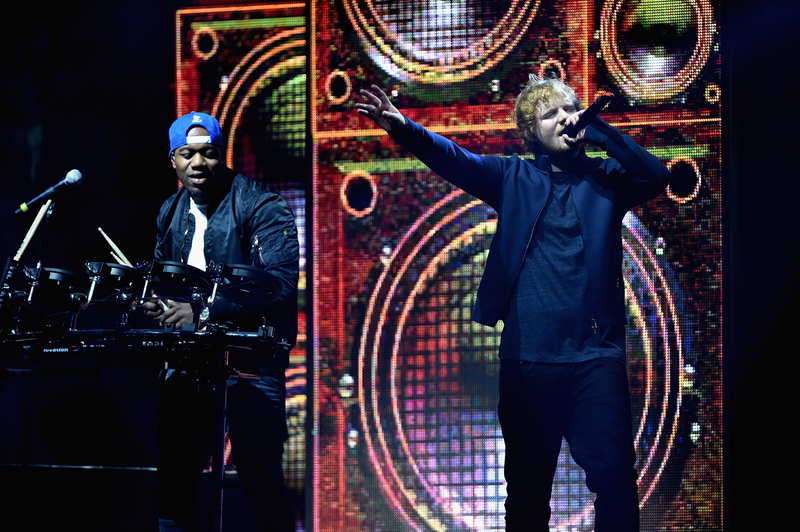 It's good to know that talented duos like Ed Sheeran and Rudimental are putting out music with good messages to help get us through rough patches!